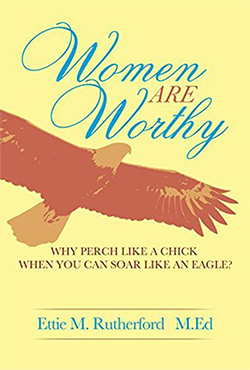 Her book, Women Are Worthy: Why Perch Like a Chick When You Can Soar Like an Eagle?, chronicles Ettie’s life and sends a message to women that they can use life’s challenges as stepping stones to realize their dreams. In spite of teen-age pregnancy, an abusive husband, and taking care of four children after her husband left the family in Alberta, Ettie , a Jamaican immigrant, gained a M.Ed degree from the University of Calgary and recently retired as an Elementary Principal in Ontario. Women and girls of all ages will be inspired by the courage shown in the pages of this book.